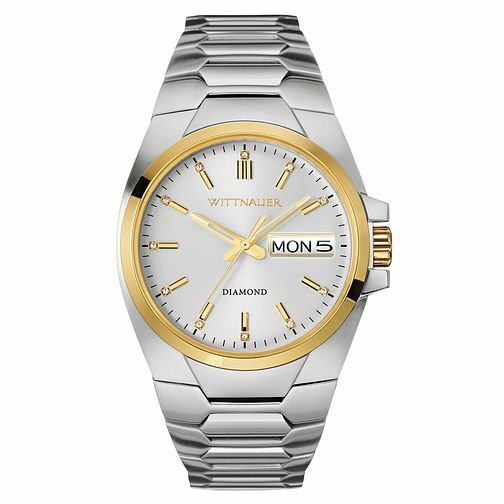 This timepiece from Wittnauer's Brody collection features a two colour polished case and steel bracelet accented by a silver dial. This is a masculine watch that can be worn every day or as an evening piece; and also incorporates diamonds on the dial to give it even more added luxury. This a staple watch that is a classic 'must have' for any gents wardrobe.